Over 40% of the population is B-12 deficient due to use of a cyanide-based B-12 compound in common foods that cannot be easily absorbed into the bloodstream. Vital to functions all over the body, B-12 is one of the most essential vitamins for the cellular detoxification, brain health and energy, adrenal support, and overall well being. Despite government sponsored supplementation in processed foods and vitamins, many people still struggle to maintain adequate levels of B-12. Why? The simple answer is that not all B-12 is created equal. In fact, some of the most common forms of B-12 cannot be properly absorbed into the bloodstream due to its toxic origin and may even be detrimental to your health. Respectively the four main types of B-12 are adenosylcobalamin, cyanocobalamin, hydroxocobalamin, and methylcobalamin. Each cobalamin, or kind of B-12, has different properties and is uniquely absorbed and converted so methylation can occur within the cells of your body. 1. Adenosylcobalamin, effective but highly unstable. Adenosylcobalamin is the least stable of all of the B-12 vitamins and therefore rarely used in B-12 supplements. Occurring naturally in small quantities within in our bodies, this form of B-12 interacts with enzymes to become methylcobalamine and aids in rapid detoxification of the cellular walls. Difficult and expensive to stabilize, it is not generally considered a good choice for B-12 supplements for this reason. 2. Cyanocobalamin, synthetic B-12 compound derived from cyanide. The most common form of B-12 available, cyanocobalamin is highly stable, cheap, and easily inserted into a pill, shot, cereal, or vitamin drink. However, cyanocobalamin cannot be absorbed and converted to a usable form of B-12 by at least 40% of the population due to the fact that it is created from cyanide, a substance that is highly toxic to humans. If a person can convert cyanocobalamin into a usable cobalamin, the conversion process releases the cyanide molecule cyanocobalamin is carrying, making it necessary for the liver to engage to rid the body of the harmful toxin. While one cyanide molecule may not seem like a lot, there are roughly 66 quadrillion cyanide molecules in a single B-12 shot of cyanocobalamin. 3. Hydroxocobalamin, naturally produced by friendly microflora. 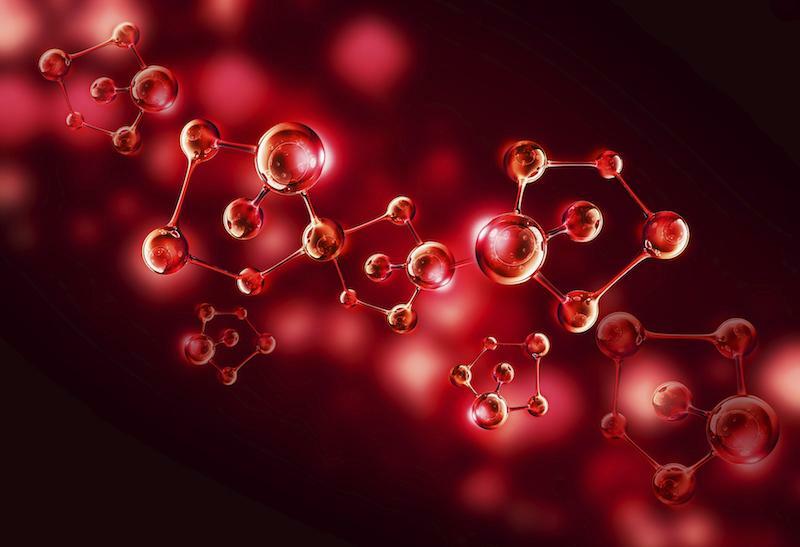 Although hydroxocobalamin is a form of B-12 our bodies do not naturally produce, the bacteria in our gut can convert it to a usable form of B-12 that aids in the conversion of amino acids. According to recent studies, hydroxocobalamin has also shown to be one of the most effective remedies for cyanide poisoning. Widely used for B12 supplementation throughout Europe and Asia, hydroxocobalamin is an ideal choice for those who want to raise their B12 levels and overall health. 4. Methylcobalamin, the most bioavailable B-12 on the market. What makes methycobalamin unique is that every other form of B-12 is converted, in one way or another, to methycobalamin. As your body’s preferred method of B-12 supplementation, this powerhouse cobalamin is easily absorbed and hits the blood stream running. Studies have shown that methylcobalamin raises levels of B-12 faster than any other form with less product needed and stays in the blood stream the longest of any form, giving you a steady supply of B-12 for energy, detoxification, and overall health. So if hydroxocobalamin and methylcobalamin are the best choices, why is cyanocobalamin even used? Unlike most forms of B-12, cyanocobalamin can survive a trip through your digestive track via pill capsule, which cannot be said for the other forms of B-12. However, that does not mean your only choice is to eat cyanide-based vitamins. Studies have shown that B-12 sprays containing hydroxocobalamin and methycobalamin, such as our B-12 Complete, are highly effective at raising B-12 levels when spritzed under the tongue and held until absorbed, enabling you to take the most effective form of B-12 to safely return your body to equilibrium so proper methylation can occur. Questions? Comments? 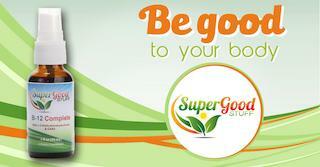 Call us at (949) 651 - 6355 or email us at info@supergoodstuff.com to speak to a support specialist.